The countries that fought in World War I split into two camps. Russia, France, Belgium and the United Kingdom (Great Britain and Ireland) were among those that sided with Serbia. They were called the Allies. Opposing them were the Central Powers: Germany, Austria-Hungary, the Ottoman Empire and Bulgaria. A few countries — Spain and Switzerland, for example — stayed neutral, not choosing a side. The United States, largely in response to German submarine attacks on its ships, joined the Allies in April 1917. Most of the fighting took place on two fronts in Europe, but the war also spread to the Middle East, Africa, South America, Asia and some Pacific islands. For three of the biggest nations involved, the war was a family affair. Kaiser Wilhelm II of Germany, Czar Nicholas II of Russia and his wife, Empress Alexandra, were all cousins of Britain’s King George V.
Explanation: George’s father, Wilhelm’s mother and Alexandra’s mother were all children of Queen Victoria. That made George, Wilhelm and Alexandra first cousins. Nicholas’s mother was the sister of George’s mother, so Nicholas and George were first cousins. Nicholas and George looked like twins and were sometimes mistaken for each other. On Christmas Eve 1914, something amazing happened. German and Allied soldiers in trenches along the Western Front in Belgium stopped fighting for a few hours. Instead, they sang carols, exchanged food and small gifts and even played soccer in the narrow strip of “no-man’s land” between the armies. The truce spread along the entire front and lasted for a week in some places. Germany hoped to defeat the Allies in the west quickly, then turn and attack Russia. But it got bogged down on the Western Front. Soldiers on both sides hunkered down in hundreds of miles of trenches, sometimes just yards apart. Trenches were dug in zigzag patterns. This reduced the impact of exploding shells and kept machine guns from firing down long lines of men. The war was fought in ways new and old. As in previous wars, horses pulled cannons, ammunition and supplies. Pigeons and dogs carried messages. Dogs also sniffed out explosives and acted as guards. Jars filled with glowworms lit the trenches. At the same time, tanks and airplanes were used in combat for the first time. And weapons such as machine guns and flamethrowers were updated, with deadly effect. Airplanes were fairly new when the war broke out. At first, they were used just to spy on the enemy and direct artillery fire. Later, pilots chased and shot at one another in “dogfights.” German pilots had parachutes, though they often failed to work. Allied pilots were not issued parachutes, in part because officers thought pilots would bail out at the first sign of trouble. Top aviators were called aces. The most famous was Germany’s Manfred von Richthofen, known as the Red Baron, who shot down 80 enemy planes. The top Allied pilot, René Fonck of France, had 75. The Red Baron did not live to see the war’s end. He was killed in combat in 1918, at age 25. 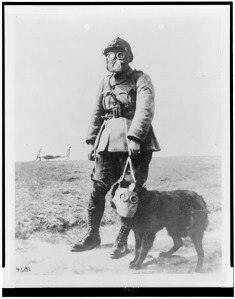 Looking to break the stalemate of trench warfare, the Germans turned to chemical weapons. A yellow-green cloud that drifted over Allied troops at Ypres, Belgium, in April 1915 marked the first use of poison gas in the war. Thousands of soldiers choked to death as the chlorine gas attacked their lungs. Months later, the Allies launched their own gas attacks. In addition to chlorine, both sides used phosgene and mustard gas, which blistered the skin. Gas attacks are thought to have caused more than 90,000 deaths in the war. The rate dropped a lot once soldiers were issued gas masks. Special masks were made for dogs and horses. In the east, the armies of Russia, Austria-Hungary and Germany battled across a wide-open landscape. 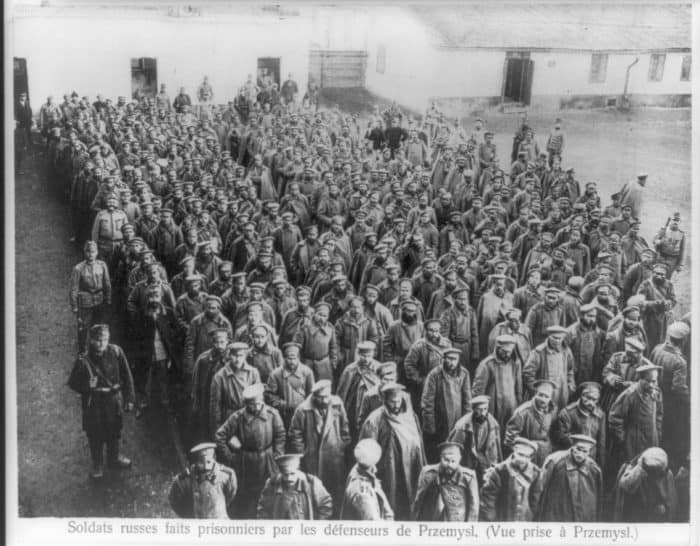 Although the Russians claimed early victories, they were soon overrun by the Germans and suffered big losses. At home, the Russian people were fed up. Riots and strikes led to two revolutions in 1917. First, the czar was forced out. Then the government that replaced him was ousted. The country was then led by Vladimir Lenin and his followers, the Bolsheviks (later called communists). Lenin had promised to end Russia’s role in the war. In March 1918, Russia signed a peace treaty with the Central Powers, agreeing to give up vast areas such as Poland and Ukraine. World War I had some of the deadliest battles in history. Ypres, Verdun, the Somme, Gallipoli and Tannenberg are names that live on in history books. The cost in human lives was devastating. More than half of the 65 million men who served were killed or wounded. More than 5 million Allied soldiers died, as did 31/2 million on the other side. Almost as many civilians were killed. Czar Nicholas II, the last emperor of Russia, was offered a haven in Great Britain after he was forced off the throne in 1917. But his English cousin, King George V, nixed the offer, fearing a riot if the czar moved to Britain. Nicholas and his family were executed by the Bolsheviks the next year. Kaiser Wilhelm II, Germany’s last emperor, was forced out in November 1918. He lived in the Netherlands until his death in 1941. Franz Joseph I, emperor of Austria and king of Hungary, remained on the throne until his death in 1916. His grand-nephew succeeded him, but the monarchy ended when the war did. In 1918, thousands of U.S. soldiers headed overseas to fight. At the time, no one realized they were carrying a virus that would prove more deadly than the war itself. In fact, it caused the most devastating epidemic the world has known. It got the name Spanish flu because Spain had the first public reports of the epidemic. Over two years, a billion people — half the world’s population — reportedly fell ill. Estimates of how many died go as high as 50 million, far more than the 16 million to 17 million people who died in the war. 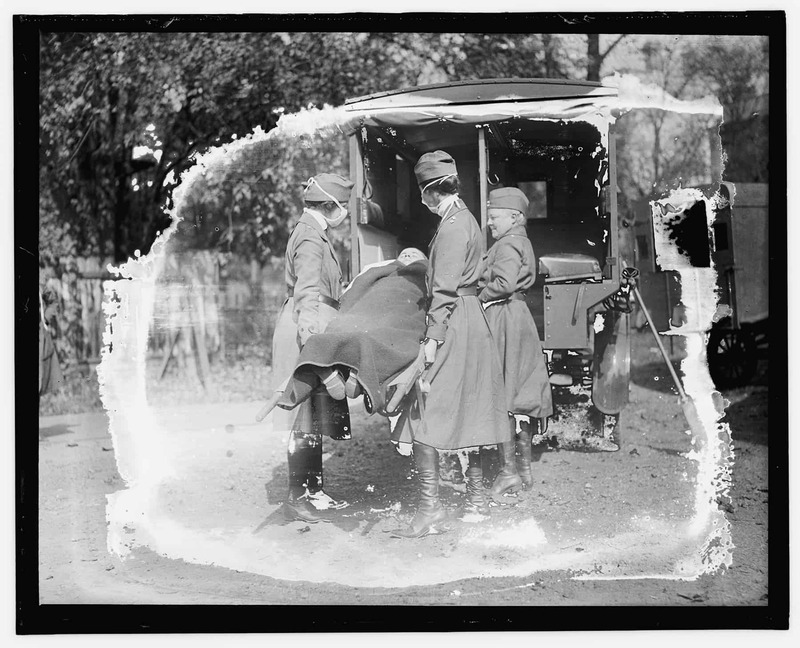 The flu was even said to have altered battle plans when officers realized they didn’t have enough healthy men to mount an attack. Hoping never to see another world war, several countries got together and in 1919 created a group dedicated to world peace. They called it the League of Nations. The idea was to resolve disputes peacefully or, if that could not be done, to apply economic and military pressure. Members agreed to defend one another if threatened. The league had 42 founding members. Germany and Russia were not allowed to join at first. They joined later, with 19 other countries, but did not stay members for long. The United States, one of the league’s biggest backers, worked with it but never joined. Opponents believed that joining would have forced the United States to get involved in disputes overseas.